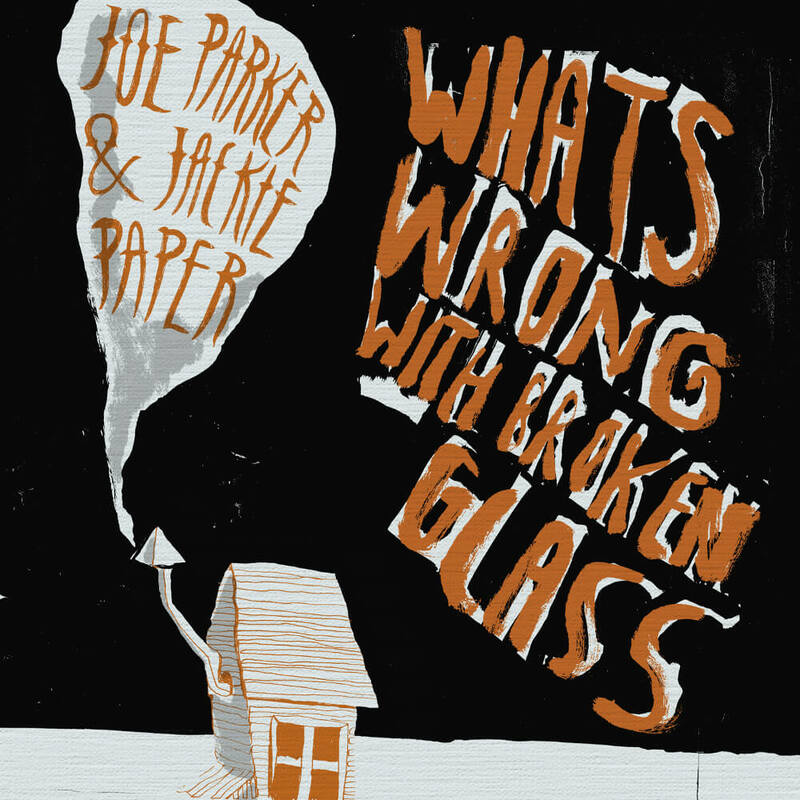 Lonely Joe Parker/Dave Miatt – What’s Wrong With Broken Glass? What's Wrong With Broken Glass? JACKIE PAPER (AKA Dave Miatt of Thomas Tantrum) and LONELY JOE PARKER release split 12” EP for OXFAM on SOTONES RECORDS Times are tough, not least for musicians. So how is it that two of Southampton’s biggest musical talents (Craig David excepted) are able to produce a split EP – and give all the cash from it to Oxfam? As one of 2009’s most dysfunctional, majestic and charitable releases, WHAT’S WRONG WITH BROKEN GLASS is released on vinyl on 8 AUGUST 2009. Folky, angry and romantic in equal parts, Lonely Joe Parker and Jackie Paper’s collaboration was born of a tale of woe…. Armed only with a $20 pawnshop guitar on a tour of the US last year, LONELY JOE PARKER found himself robbed in Miami and 1,000 miles from home. The itinerant romantic-in-rags dug deep into Americana, and came up with a set of songs that blend a streets-eye view in the vein of Tom Waits with St. Vincent’s sonic vision. The songs earnt their creator enough change to make it up to NYC, and upon his return to the Southampton docklands, he wondered why the songs that had earnt his own keep couldn’t help others too. Then he bumped into JACKIE PAPER – better known as DAVID MIATT, guitarist and songsmith in rapidly rising indiepop stars THOMAS TANTRUM. Fresh from radio appearances on BBC1 and 6Music plus summer festival slots including Reading and Bestival, an older, folkier impulse led Dave to pen a book of wistful, almost melancholic songs referencing Elliot Smith, Brian Wilson and Nick Drake. The pair hit on the idea of a split EP to shamelessly showcase their songs and walk off with the memories while letting Oxfam Music stock the release and pocket all the filthy money. Several months later, the six songs What’s Wrong With Broken Glass are the fruit of that collaboration. The EP has already been featured on BBC South:Live and Balcony.TV, and features members of Modernaire, Peter Lyons, The Moulettes and Moneytree. Sotones director Jimmy Hatherley said: “As our first 12” release this is a really important step for us as a label. Not only is it a really great record, but we’re also proud that it’s raising money and awareness for Oxfam.” Oxfam Southampton manager Rob Milner said: “We’re really excited about the EP and in-store appearances. This is a massive help to us and we hope it’ll do really well – maybe this is the first of many.” To promote the EP, the pair are touring venues and Oxfam Music stores across England on their bicycles, and will do more fundraising (for Oxfam, Campaign Against Arms Trade, Ocean Youth Trust and Jail Guitar Doors) along the way. They hope that gig-goers, cyclists or other nuts will join them in riding on ‘Bike Tour 2009’.